As long as I’ve known my dear friend Erin, she has struggled with, what she calls, an addiction to sugar. Mind you, she’s the size of a pin, so it’s not weight that is her challenge, but rather the dependence on cookies, ice cream and candy. I remember a perhaps not fully sober night, when a group of us walked to the local Plaid Pantry (for those of you from Oregon, you know all about “The Plaid”). Erin made a beeline for a large package of Bit ‘O Honey candy and proceeded to go on and on about how it was the best-tasting candy she had ever had and how she loved it so much. Yes, Erin loves sugar. On a recent visit to Bend, Oregon where Erin now resides with her husband and two little boys, she was excited to tell me about a book she had recently ordered called I Quit Sugar. Yes, Erin still loves sugar. Erin is a talented home cook and is constantly trying new recipes. A few months ago she mentioned a brownie recipe that we would need to make together when I come up to visit. This brownie is a complete trick on the taste buds. No refined sugar and avocado in the frosting!?! It’s unbelievably satisfying, super easy, and best of all, no sugar. Here is my sugar-loving friend’s story and recipe. Enjoy! I was born with a sweet tooth and sometimes, (ok-often), try to deny that. My husband is a meat and potatoes kind of guy. I have tried to quit sugar at least 10 times a year for the last 10 years. He has never tried to quit sugar. Or meat and potatoes. We are not trying to be vegan or raw. 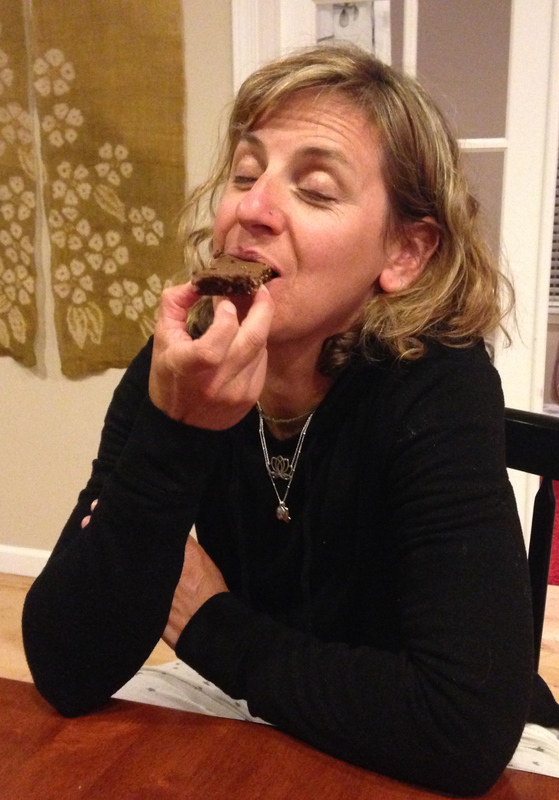 Yet I share with you a delicious raw chocolate brownie recipe that I had recently. Now, perhaps these were delicious because I had them as a “treat” after a seven-day detox that was capped by a two-hour yoga class. I do know that I ate one bite that day and decided to go home and make an entire pan to devour in short order. For the paleo-crazed out there, these fit the bill. For vegans, they are pure animal-free indulgence. For parents of picky eaters, a way to sneak in some sugar-free nutrition. So, don’t bother heating the oven and get ready for some raw chocolate love. 1. Food process the brownie ingredients until blended and dry chunky…it should look like potting soil. 1. Put all icing ingredients into a blender, and blend on high until smooth. 2. 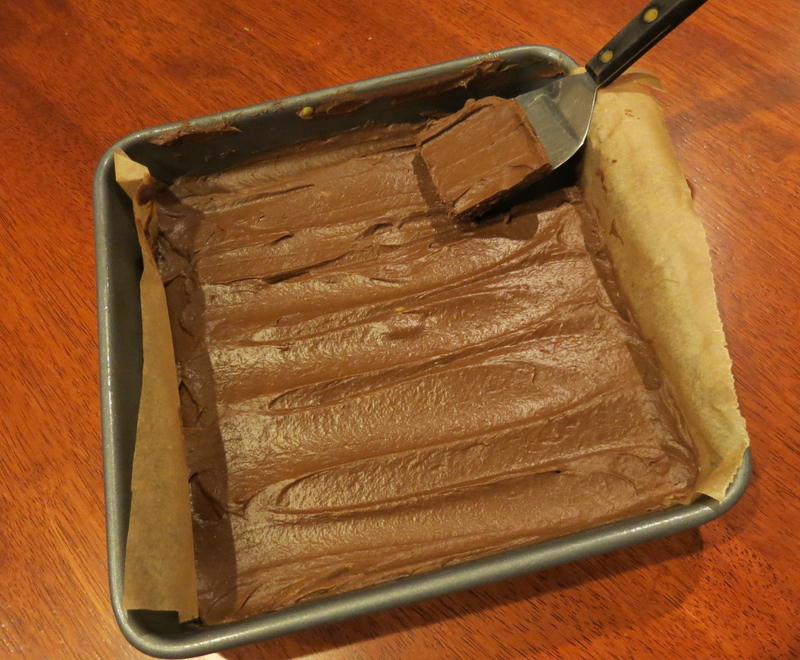 Spread icing over brownies and place in freezer to set for 1 hour. Previous Postdid someone say summer?Next Postorigami animals and onion dip?